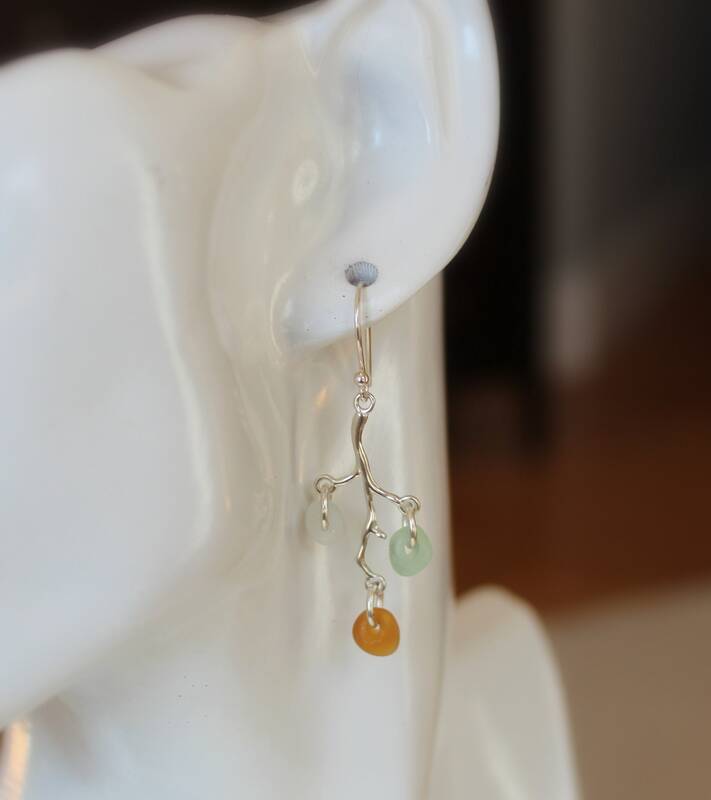 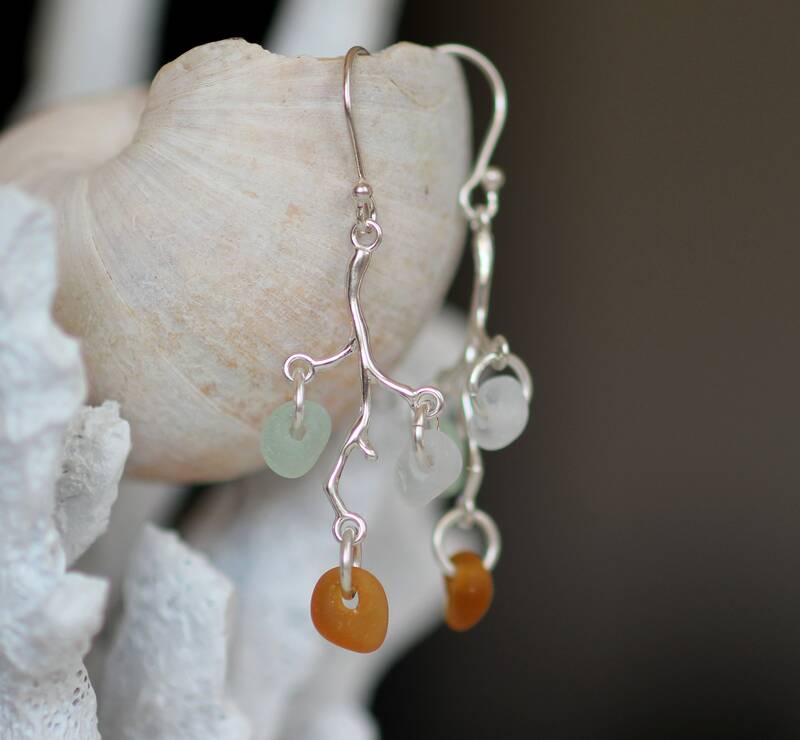 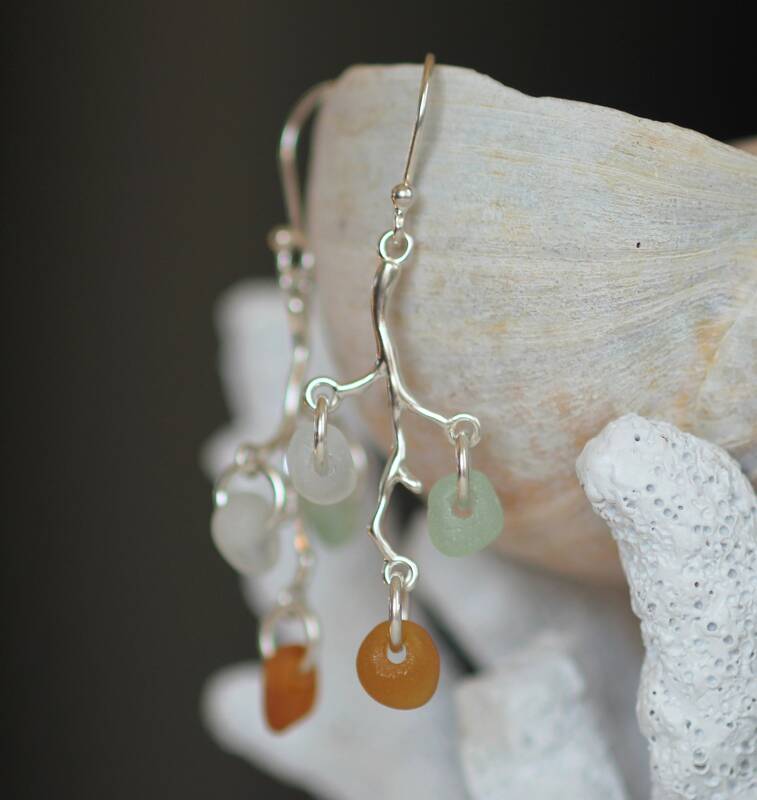 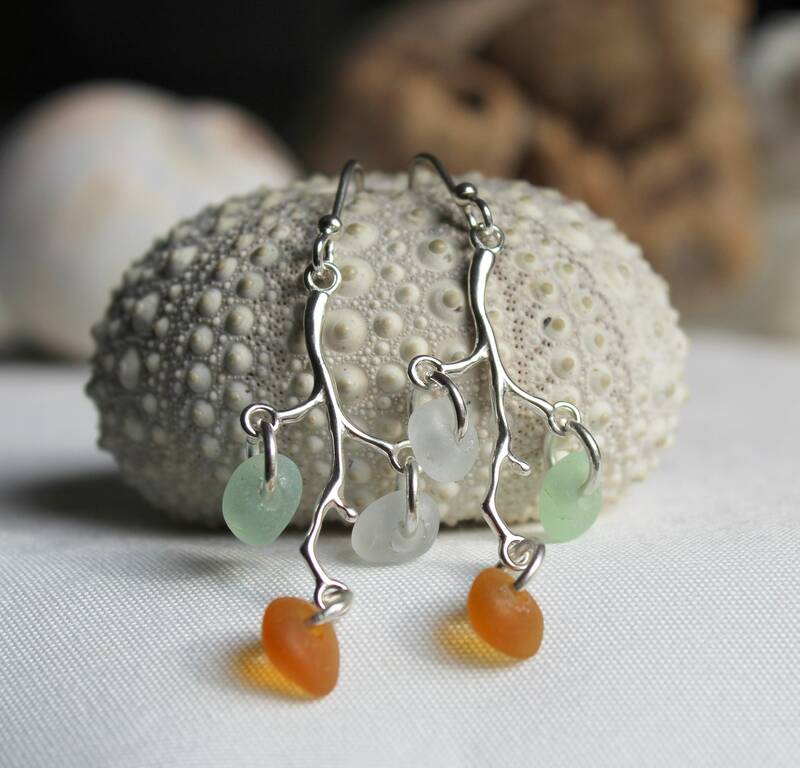 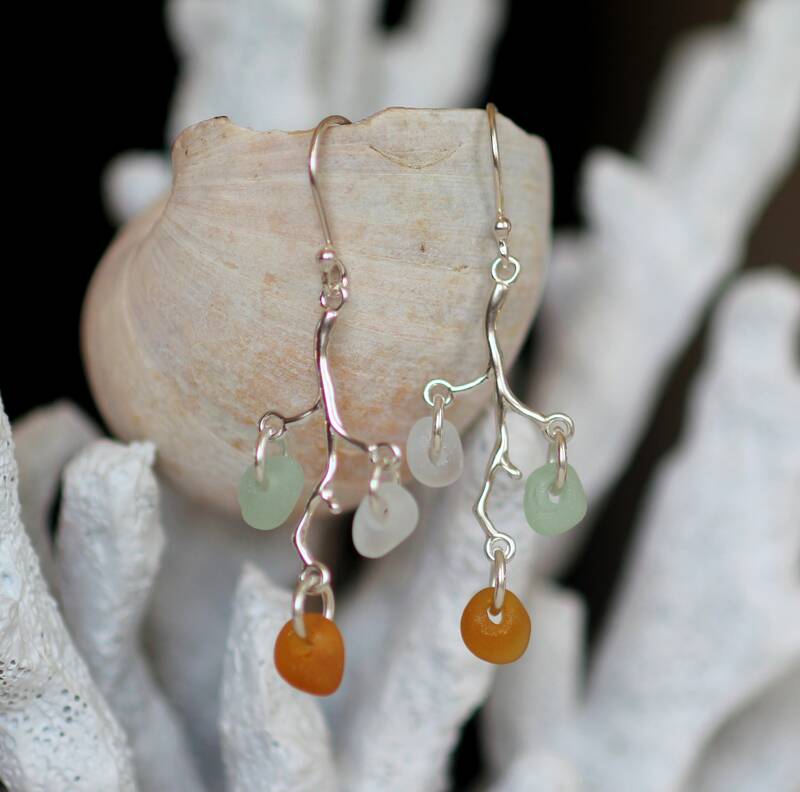 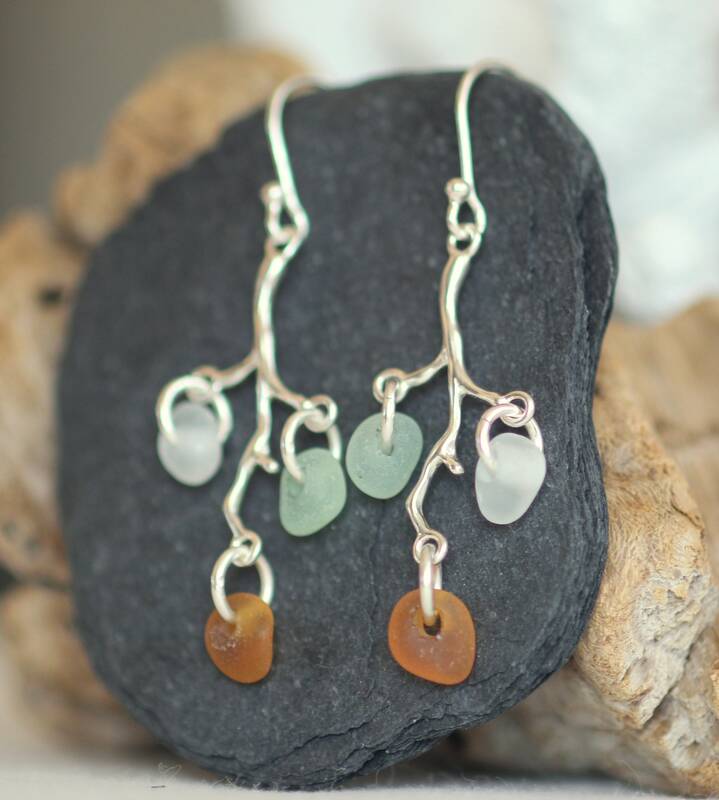 Our Winterberry sea glass earrings feature tiny pieces of genuine beach glass in amber, seafoam and white, dangling from sterling silver branches and earwires. 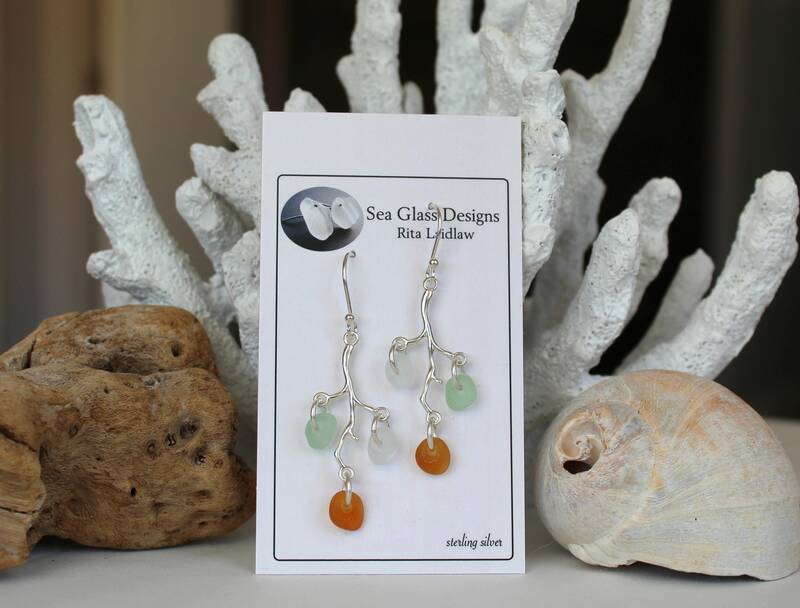 These earrings are lightweight and have lovely movement, perfect little sea glass dangles. 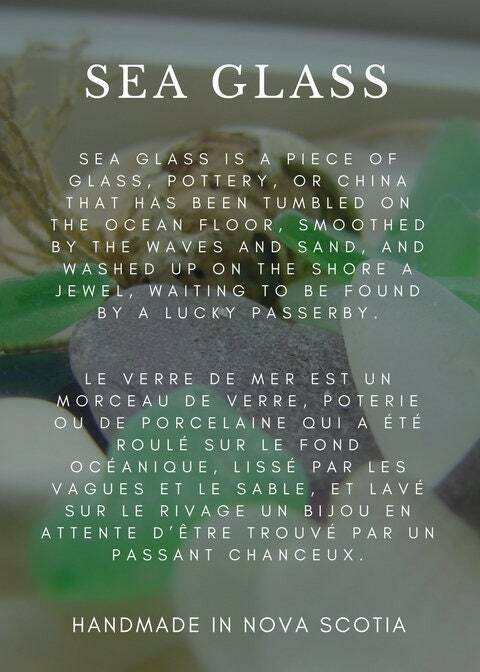 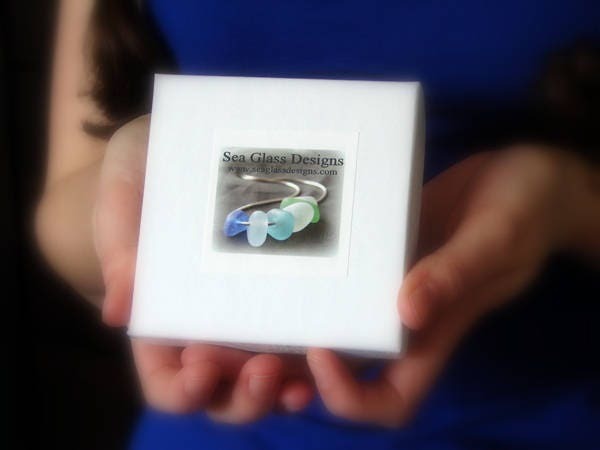 Our sea glass jewelry is presented boxed, with the Sea Glass Story on the inside lid, ready for gift giving. 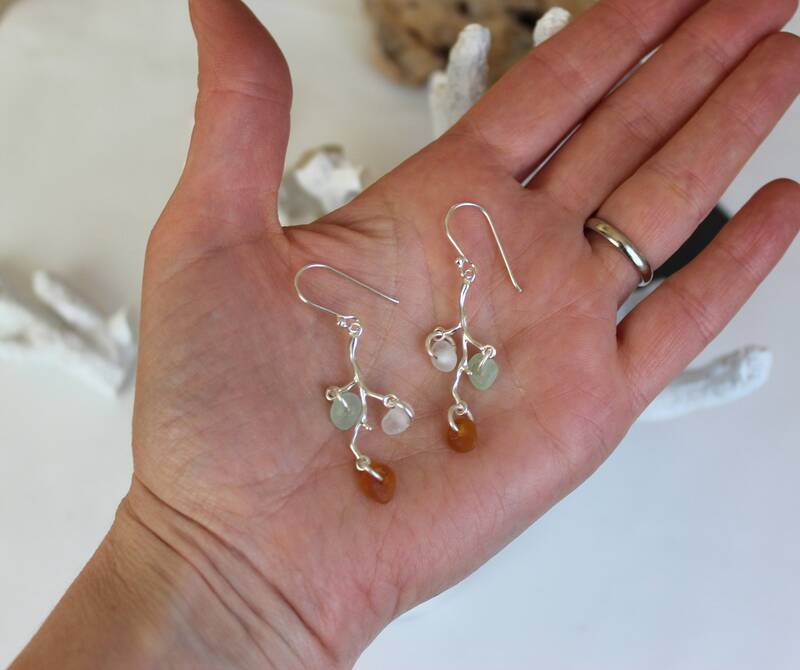 Your order will arrive with a silver polishing cloth to keep your earrings bright.